Don DiMarco has a very good life – a family he loves, a comfortable lifestyle, passions and interests that keep him amused. He also thought he had time, but that turned out not to be the case. Faced with news that might have immediately felled most, Don now wonders if he has time enough. Time enough to show his wife the romance he didn’t always lavish on her. Time enough to live out his most ambitious fantasies. Time enough to close the circle on some of his most aching unresolved relationships. Summoning an inner strength he barely realized he possessed, Don sets off to prove that twelve months is time enough to live a life in full. 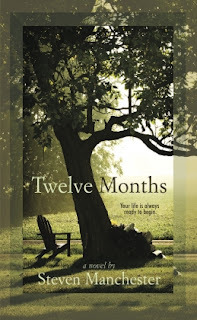 Twelve Months by Steven Manchester is nothing short of pure inspiration. It follows the last months that Don has after being diagnosed with cancer. A time when he comes to realize that he has never really lived his life. Readers will follow his journey to the end, as Don becomes more determined to pass on without any regrets. I was weary about this book at first, worried that it would be a story of chemo-therapy and battling cancer, complete with me using an entire box of tissues and feeling mildly depressed after the last page. But, it wasn't that at all. It was an extraordinary tale where one man chooses to live instead of be overwhelmed with death. Don's character is the perfect epitome of everyone's favorite grandfather. He's loving, wise, giving, and wants his family to know how much love he has for them before it's too late. Readers will become his family as they read through his story of completing his life goals. The main bulk of the novel revolves around Don's list of things he has always wanted to do. His bucket list, so to speak. As he tries to complete his list, Don learns more and lives more of his life than he ever has. It truly is an inspiration. If a man dying from cancer can still live his life to the fullest, then what does that say about the rest of us? As he makes peace with his past, and moves forward in love and life, Don becomes a role-model to the reader. 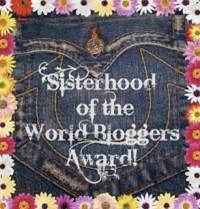 Showing us that our time on earth may be short, but that we can do with it whatever we choose. I highly recommend this book to everyone and anyone. It will burn the will to live into your soul. But you may want to keep a box of tissues near by, just in case. Steven Manchester is the author of Pressed Pennies, The Unexpected Storm: The Gulf War Legacy andJacob Evans, as well as several books under the pseudonym, Steven Herberts. His work has appeared on NBC’s Today Show, CBS’s The Early Show, CNN’s American Morning and BET’s Nightly News. Recently, three of Steven’s short stories were selected “101 Best” for the Chicken Soup for the Soul series. When not spending time with his beautiful wife, Paula, or his four children, this Massachusetts author is promoting his works or writing.